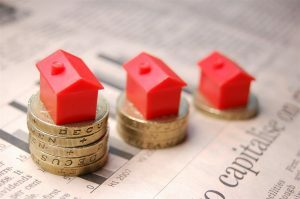 Will New Loan Deals Ease Landlords’ Concerns? Buy-to-let landlords fear that new ‘stress test’ regulations that were introduced this year, which dictate that a landlord’s rental income must cover 125% of their mortgage interest costs, as well as a hypothetical interest rate of 5.5%, will make remortgaging their properties increasingly difficult. Many landlords also fear that they will struggle to match their existing discounted mortgage deals when they come to an end and face moving to a standard variable rate. The Treasury’s decision to phase out higher rate relief on mortgage interest payments will further impact landlords. The mortgage industry has responded to these concerns by introducing a range of new products and rate incentives in recent weeks, which should go some way to easing landlords’ fears – one example being Barclays’ ‘best ever’ 5-year fixed rate loan of 2.99% with a 75% loan-to-value. However, they are not the only company in the market looking to support landlords looking to plan and balance their books in light of the new regulations, with several other lenders cutting rates on tracker deals. Here at The Financial Planning Group, we are able to secure a mortgage deal six months ahead of your current deal ending, which makes it possible for our clients to reserve the best rates – regardless of what the market does in that period. As impartial independent financial advisers we can help you in making the right choice, with access to the whole market rather than just one lender.